Avoid Stop Orders to Stay in the Game! Most swing traders utilize the traditional strategy of buying or selling futures contracts at support and resistance levels, respectively, with the use of stop loss orders for risk management. 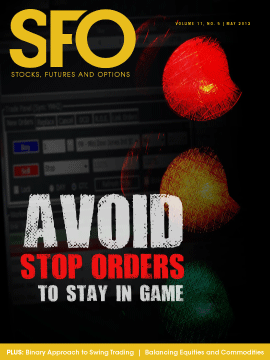 However, I believe the use of stop orders is deeply flawed. Markets have a tendency to cause the most pain to the most people, and that often entails bouts of stop loss running before trend reversals. Nonetheless, there are ways to alleviate the wrath of stop running to give your trades lasting power.